To function properly, an organization needs standards and accountability. A lack of standards and accountability in one area seeps into another. Too often, the New York State Athletic Commission doesn’t train or evaluate its personnel as well as it should. In some instances, mediocrity has been institutionalized. Good NYSAC employees learn something new every day. There are other people at the commission who think that they already know it all. Well-run sports organizations acknowledge when their officials make a mistake. The New York State Athletic Commission doesn’t. 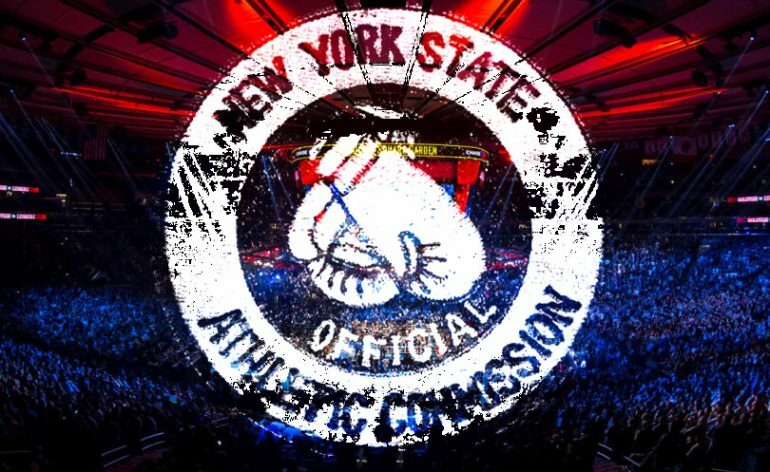 Boxing insiders know who the competent and incompetent referees and judges at the NYSAC are. But below-par officials are allowed to keep working, often in high-profile situations. There’s no comprehensive plan in place at the commission to evaluate referees and judges. No one at the NYSAC sits down with them after a flawed performance to watch videos of a fight and ask what their thought processes were? At times, the interaction among commission personnel resembles a food fight in a junior high school cafeteria. 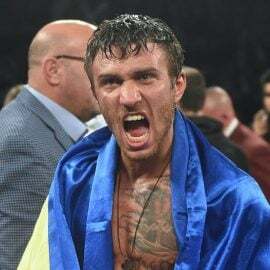 The practice of assigning officials of questionable competence to preliminary fights is sometimes utilized to shield them from public scrutiny. But that doesn’t solve the problem. Fighters’ careers – and lives – are still in their hands. One way to improve the quality of judging in New York would be to train former fighters as ring judges. In recent months, the commission has hired a group of new inspectors. But they aren’t being properly trained. 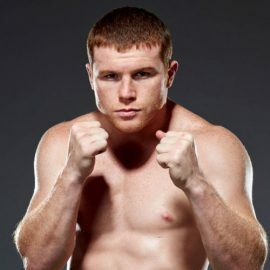 Kim Sumbler has sought to institute standardized protocols for the performance of inspectors on fight night. In theory, inspectors are evaluated by deputy commissioners at the close of each fight card. But it’s a haphazard process. 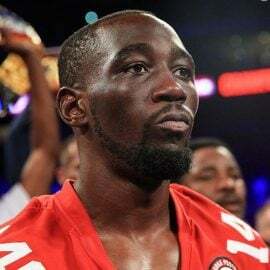 Multiple sources say that, on several occasions, a deputy commissioner assigned to watch urine samples in the dressing room area left his post because he wanted to be at ringside to watch the fights. In one instance, the person he recruited to oversee the samples in his absence didn’t understand the sensitivity of the situation and left the samples unattended to go to the ladies room. Later, she complained that the deputy commissioner was verbally abusive to her, telling her to shut up and embarrassing her in front of other commission personnel. 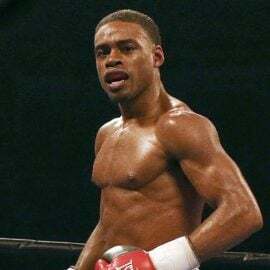 On April 21, 2018, according to one source, the NYSAC licensing access coordinator approved a request that a fighter’s 10-year-old son be in his father’s corner to translate during a fight at Barclays Center. This is not good judgment. A deputy commissioner heard about the plan and put an end to it. At another fight card at Barclays Center, a New York State Department of State media relations specialist was seated by the ring apron, leaning into the ring to take smartphone photographs of the fights to tweet out over social media on behalf of the DOS. Earlier in the day, NYSAC executive director Kim Sumbler had told commission personnel to strictly enforce rules against photographers leaning into the ring. Two months later, the same DOS employee was moving around the technical area at Madison Square Garden, standing up and taking photos while blocking the view of paying spectators. There’s a depressingly familiar routine at the New York State Athletic Commission. A referee, judge, inspector, or deputy commissioner makes a mistake. 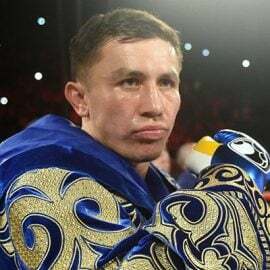 If the mistake is serious enough (for example, forgetting to take a fighter for his pre-fight physical and then lying about the oversight when asked), the employee is dismissed. But often, when there’s an attempt to correct inadequate performance, the employee in question complains to his or her political backer or threatens to institute legal proceedings for discrimination and the commission backs off. Often, the political process prevents things that need to be done from being done or precludes them from being done quickly enough. When a problem employee is identified, the guiding philosophy is to “give the employee enough rope to hang himself.” Meanwhile, the lives of fighters are at risk. For years, it was known that an NYSAC inspector was suffering from cognitive issues. On one occasion when a fight called for the combatants to wear 8-ounce gloves, one pair of 8-ounce gloves was lost. However, a pair of 10-ounce gloves was readily available. The inspector suggested that each fighter wear one 8-ounce glove and one 10-ounce glove. Fortunately, he was overruled. Last year, the same inspector was assigned to a fighter’s dressing room at Barclays Center. He lost the fighter’s gloves (“I put them down someplace and forgot where”) and had to go back to the onsite commission office for a second pair. Then he fell asleep in the dressing room. Soon after, his employment was terminated by the commission. Why wait that long? By definition, this inspector’s continued employment was jeopardizing the integrity of the fights that he was assigned to and, by extension, the lives of fighters. It wasn’t his fault that he couldn’t do the job anymore. He was suffering from a debilitating medical condition. Standards are empty vessels if there’s an absence of accountability for the failure to meet them. …too many decisions at the NYSAC are made on the basis of political expediency rather than what’s right. And too often, standards and accountability are lacking. One former commission inspector, Dorothea Perry, has been a lightning rod for controversy for years. 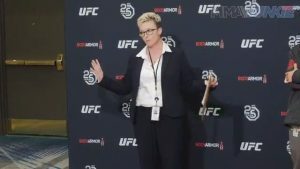 There have been complaints that she left fighters unattended in dressing rooms and used her badge to gain entry to the dressing rooms of high-profile fighters whom she hadn’t been assigned to monitor. David Berlin (who served as NYSAC executive director for two years beginning in May 2014) wanted to dismiss Perry from her position with the commission because he believed she had failed to properly carry out her duties on multiple occasions. But he was overruled by his superiors. 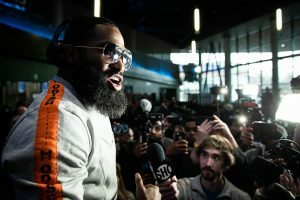 because of a social media feud between Adrien Broner (who was fighting in the main event) and a rapper who goes by the moniker “Tekashi69.” An April 18 open media workout had been canceled as a security precaution and the final pre-fight press conference (previously scheduled for the Highline Ballroom in Manhattan) was moved to Barclays Center, where there was heightened security. In addition, the Friday weigh-in was closed to the public. When fight night came, there was a heavy police presence at Barclays Center including gang units. Even then, a temporary lockdown was necessary when a gun was fired in the building. 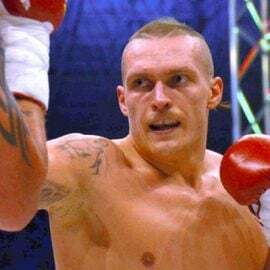 Perry was the senior inspector in the dressing room for one of the undercard fighters and allegedly violated commission protocols with regard to the lockdown. In addition, Perry filed a complaint with the New York City Police Department alleging criminal conduct and a second complaint with the New York State Department of State alleging workplace violence that she said was committed against her by an employee of a media relations company that was onsite for the April 21, 2018, fight card at Barclays Center. More specifically, she alleged that the employee had threatened, “I’m going to kill you.” Neither of these complaints resulted in a finding of wrongdoing by the alleged perpetrator. A Google search further reveals that Perry has filed at least two lawsuits alleging racial discrimination against private-sector employers. What’s wrong with the picture is that too many decisions at the NYSAC are made on the basis of political expediency rather than what’s right. And too often, standards and accountability are lacking. This culture has to change. As I’ve written before, a driver can run a red light ten times without adverse consequences. Then, one day, there’s a truck. The New York State Athletic Commission is running red lights. NYSAC personnel who don’t do their jobs properly are damaging fighters’ careers and, in some instances, endangering fighters’ lives. Read Parts One, Two and Three here. Thomas Hauser’s new email address is [email protected] His most recent book – Protect Yourself at All Times – was published by the University of Arkansas Press. 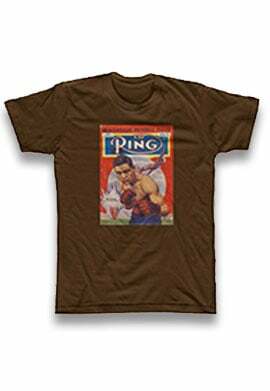 In 2004, the Boxing Writers Association of America honored Hauser with the Nat Fleischer Award for career excellence in boxing journalism.